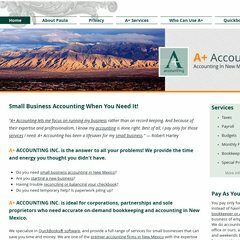 Topics: Accounting, Services, Small Business, and Starting A New Business. A-plus-accounting.com's server IP number is 66.175.58.9. Its 3 nameservers are dns3.earthlink.net, dns1.earthlink.net, and dns2.earthlink.net. It is hosted by Cedant Web Hosting (California, Davis,) using Apache web server. PING (66.175.58.9) 56(84) bytes of data.